(See the App Store video for a 30 second demo). 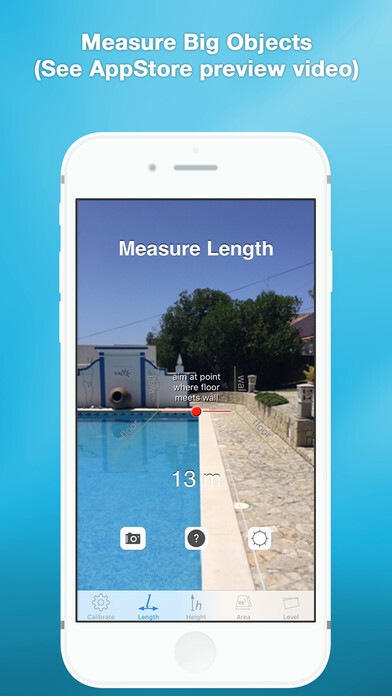 Dot Measure is measuring the DISTANCE the HEIGHT and the AREA through the device camera view. We also have a precise RULER, a TILT METER and a "laser" spirit level. 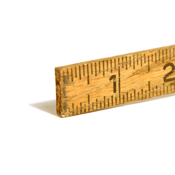 Store pictures of your measurements, then you don't have to remember them. Dot Measure measures the distance from your feet to a red spot on the floor, which you see in a camera view on your phone. Dot Measure version 2.2 was featured in Mashable’s article: «10 Things You Didn't Know You Could Do With Your Smartphone». Since then the app has many new features. Dot Measure reached the App Store top-lists in many countries throughout the world in the Utilities category. # Top 10 in 48 countries.